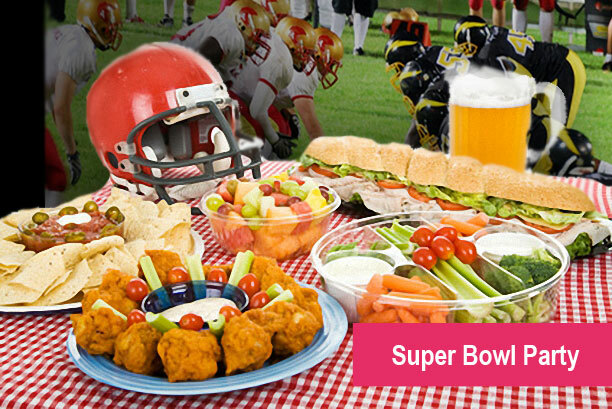 Are you a Super Bowl fan? No, really. Are you? Then you should have no trouble deciphering what players are credited with the claims to fame noted in our printable Super Bowl Trivia game. 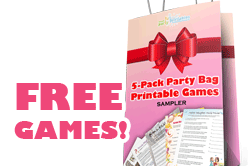 Entertain and challenge your party guests. Find out who really KNOWS their football heroes! We've challenged our Super Bowl know-it-alls to come up with 20 Super Bowl achievements, and the players who made them happen. It's up to your guests to match each achievement with the responsible player. You can form teams to play, or let your guests play individually. The team or individual with the most correct matches wins. A lighter version (but still a challenge!) where the player names can be selected from a scrambled list included on the game sheet. A version of the game that requires guests to name the player credited with each claim to fame without the help of a scrambled list of answers. You get both versions when you order, so mix it up or pick the version that best fits the fan level and Super Bowl knowledge of your guests. Ready to kick-off the fun? After downloading the game document, print out as many sheets (of the version of your choice) as you need. If you want to entice some real competition, get some prizes for the winning team. Try to get some Super Bowl collectibles through Ebay, always a great choice, but make sure that you can get them in time!